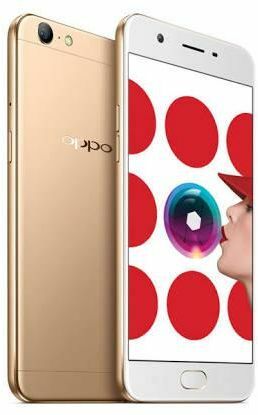 Oppo A57 smartphone features a 16MP front camera. This Oppo mobile supports 4G LTE network that provides superfast Internet connections.Crafted brilliantly for selfie lovers the Oppo A57 dual-SIM smartphone has an amazing 16MP front shooter that lets you click lifelike self-portraits. For your convenience, it features hand gesture that allows you to capture images with a simple gesture so that you can pose properly for a well-composed shot. Who needs a DSLR camera when your phone itself clicks fabulous pictures with superior image quality? This smartphone has a 13MP rear camera that clicks sharp, bright and vivid pictures. Now, click pictures like professionals and flaunt your photography skills on all social media handles. This smartphone has a huge 5.2inch, IPS screen, which showcases vibrant hues and amazing details in Full HD resolution. This phone works on a Qualcomm MSM8940 Octa-Core processor that makes the system fluid and lag free. The massive 3GB RAM module allows you to open a multitude of apps in a fraction of seconds. It offers a huge 32GB onboard storage capacity that can that can be expanded up to 256GB via an SD card. This phone works on Android 6.0 OS that gives a fluid, user friendly interface. Also, this phone provides 4G LTE connectivity so that you can download loads of songs, apps, and HD videos at super high speed and store them all in this device. It lets you install dual-SIMs and eases your task of managing professional and personal contacts. Powered by a massive 2900mAh battery, this phone offers an extended runtime on a single charge. Available in an exuberant gold finish, this Oppo A57 smartphone flaunts a chic and lightweight design. The Oppo A57 dual-SIM smartphone is equipped with a 16MP front camera that lets you click breathtaking selfies. It features hand gesture for convenient clicking and enables you to strike the desired pose while shooting. The bokeh effect accentuates the quality of your pictures with the blurred background. Moreover, Beautify 4.0 helps you click amazing pictures even in low light conditions. It has a 13MP rear camera that uses Sony’s extremely light-sensitive stacked CMOS sensor. Also, it has PDAF technology that allows you to click brilliant shots of moving objects. This Oppo smartphone has a Qualcomm MSM8940 Octa-Core processor that ensures revolutionary speed, enhanced power, and class-leading performance. This Oppo 4G LTE mobile features a 3GB RAM that allows you to multitask freely without any slowdowns and glitches. You can store all your content on the 32GB onboard memory that can be extended by up to 256GB via a microSD card. It has a powerful 2900mAh battery that offers 11 hours of continuous video watching. This smartphone is based on Andriod 6.0 backed up with ColorOS 3.0 that is seamlessly responsive and provides a smooth and steady experience by optimizing power use so that you enjoy a brilliant performance every time. This Oppo mobile has a solid-state fingerprint sensor that increases the security of your phone. The hydrophobic zirconium reader used in this fingerprint sensor allows you to unlock it in a jiffy even with a wet fingertip." An average phone. Can easily handle.